Pipes and tubes often are difficult cleaning and passivation applications because various washing, rinsing, and passivation solutions must be flushed through the pipes. Pipe flushing applications with tight aspect ratio (high length vs. the internal diameter) or multiple bends tend to require forced or pumped circulation through the tubing. 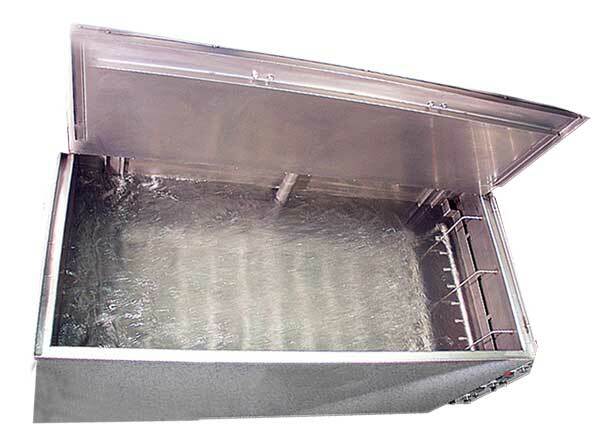 This automated pipe cleaning and passivation system accommodates a manifold for connecting pipes and tubing. This manifold not only allows for the cleaning, rinsing, and passivation solutions to be pumped through the pipes but also for compressed air to force any remaining solution out of the tubes ensuring minimal dragout between process steps as well as drying of the internal diameter after all process steps are complete. Since the industrial parts cleaning system forces solution through the pipes, the system is able to handle complex bends in the tubing conventional pipe cleaning systems can not handle. This nitric passivation pipe cleaning system is able to clean, rinse, passivation, rinse, final rinse and dry pipes and tubes. 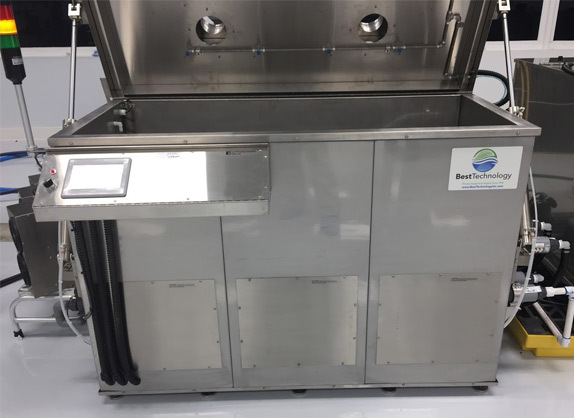 The automated equipment is able to monitor and maintain DI (deionized) rinse water to ensure part exterior and pipe interior are rinsed thoroughly ensuring a clean, passivated, spot free pipe inside and out. 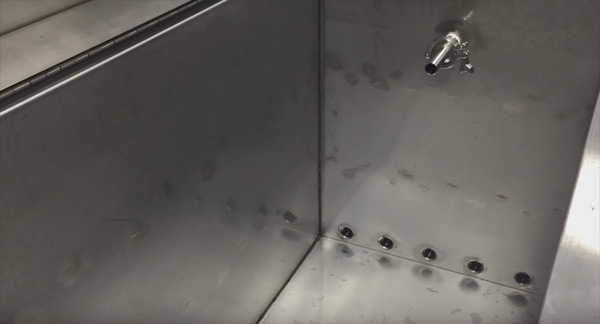 For simple straight pipes requiring cleaning, our crossflow tube cleaning equipment offers simple pipe flushing action by creating a lateral solution flow across the tank depth. For really small ID, our cannula/needle cleaning system or automated guidewire/catheter cleaning and passivation system is recommended with ultrasonics.